WHAT INFLUENCED YOUR DECISION TO JOIN THE MILITARY? By the time I graduated from high school in 1962, young men either went to college or knew the draft would eventually catch up with them. My grades in high school were less than stellar and there were no expectations from teachers or family that I was “college material.” So, my best friend and I went to see an Army recruiter. We tentatively signed up as Nike Ajax Repairmen. As soon as the recruiter left the office to make copies of documents, the Air Force recruiter from the office across the hall walked in and invited us over to his office. Within the hour we signed papers to join the U.S. Air Force. The decision to join the Air Force for me centered around my concern that I might not have the mechanical ability to be a Nike Ajax Repairman, whereas the Air Force tested recruits for inherent and acquired abilities prior to job training and assignments. Who told the Army recruiter of our decision is lost to time, but I must admit the Air Force recruiter made a bold move. I’m thankful to this day he did so, as the Air Force tests demonstrated clearly that I didn’t possess an ounce of mechanical ability. WHAT WAS YOUR SERVICE CAREER PATH? After technical training as an Administrative Specialist at Amarillo AFB, my first assignment was at Donaldson AFB in Greenville, South Carolina with the 63rd Field Maintenance Squadron of the 63rd Troop Carrier Wing (MATS). I worked as a Security Clerk in the Orderly Room. Shortly after arriving at Donaldson, I learned the base would be closed and the 63d TCW moved to Hunter AFB in Savannah, Georgia. We closed down the Orderly Room in about April of 1963 and I was assigned as the 63rd FMS Mail Clerk at Hunter AFB. I transferred to the Aero Repair Branch on the flight line under the direction of CMSGT William G. Jones. When he transferred up to the Field Maintenance Office as Maintenance Superintendent, he took me with him. I essentially became the squadron resource on the Air Force Manual 39-62 and edited airmen and some officer performance reports before forwarding them to Wing Personnel. Due to the zero error rate on reports to Wing Personnel, I was asked to interview for an administrative position at the Office of Deputy Commander Material, 63rd TCW. Although selected for the job it was not very demanding and by the summer of 1965 I grew restless and bored with the job. Personnel told me of an opening for a special assignment in the state of New Mexico. To apply required an intensive background check, an official Air Force photo session, work history and references. Intrigued, I joined the other candidates vying for the position. Selected for the position in April of 1965, I was assigned to the 1090th Special Reporting Group, an Air Force detachment at Sandia Base, Albuquerque, New Mexico. Sandia Base was from 1946 to 1971 a nuclear weapons installation of the Department of Defense and run by the Army. From April of 1965 until my discharge from active service at the nearby Kirkland AFB, I worked in a classified mail/record room that maintained a tracking system of secret and top secret documents. DID YOU PARTICIPATE IN COMBAT OPERATIONS? IF SO, COULD YOU DESCRIBE THOSE WHICH WERE SIGNIFICANT TO YOU? No, I spent my entire four years of active service in the U.S. The 63rd FMS and other squadrons under the 63rd TCW did provide early support operations to Vietnam and other areas of Southeast Asia. 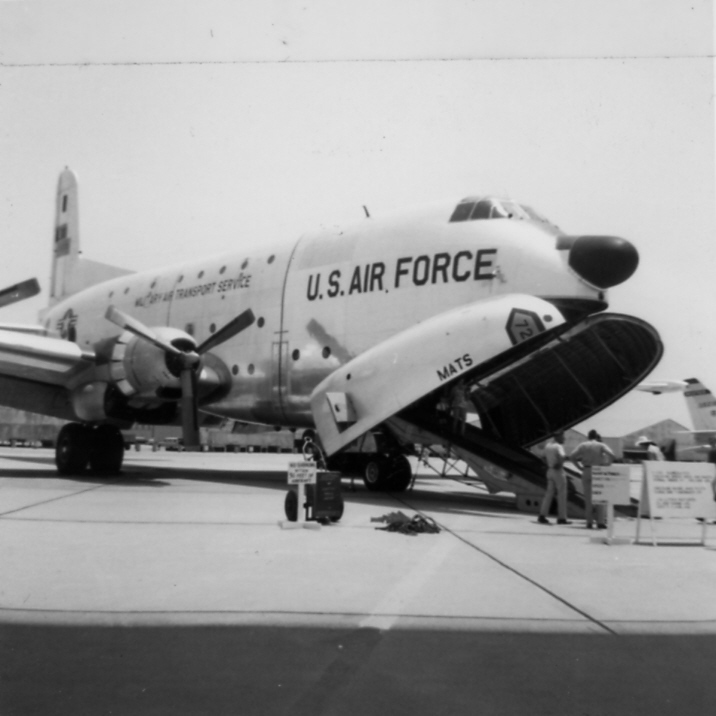 Then, the C-124 Globemaster was the only aircraft large enough to carry heavy military equipment into combat areas. Quickly, however, a newer transport aircraft took over the job and the C-124 soon phased out of operation. FROM YOUR ENTIRE SERVICE CAREER WHAT PARTICULAR MEMORY STANDS OUT? WHICH INDIVIDUAL PERSON FROM YOUR SERVICE STANDS OUT AS THE ONE WHO HAD THE BIGGEST IMPACT ON YOU AND WHY? 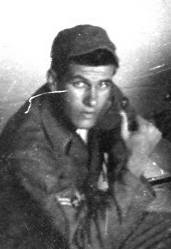 There were several such individuals, but if I must narrow the list down to one it would be CMSGT William G. Jones. I was a young and inexperienced airman when I joined him at the Aero Repair Branch of the 63rd FMS. Despite his rank and experience, he trusted my judgment and limited expertise. He believed in me when I didn’t believe in myself. I gained an immense degree of confidence and self-respect under his tutelage. I emulated his leadership style in my civilian work environments. CAN YOU RECOUNT A PARTICULAR INCIDENT FROM YOUR SERVICE THAT WAS FUNNY AT THE TIME AND STILL MAKES YOU LAUGH? Yes. When stationed at Hunter AFB, once a year I was required to check out a helmet and a carbine (without the ammo clip) and “guard” certain locations on the flight line as part of an inspection. On one such occasion I was placed under the wing of a WB-47 (Hurricane Hunters) at night. I’d hoped, of course, that it would be a quiet night. Not to be. In the distance, lit by the lights from the flight line buildings, a lone figure leisurely walked between the rows of aircraft. I said to myself, “Lord, please don’t let him stop at this aircraft.” He turned toward the aircraft. I shouted (rather weakly), “Halt, who goes there?” He said, something to the effect, “I’m an officer. I need to board that aircraft.” “Sir,” I said, “I’ve been instructed not to allow access to this aircraft.” A number of times the man repeated that he was an officer. Finally, knees shaking, I told him to get on his knees and hold his security badge above his head. Surprisingly he did so , but not without comment. I approached him, looked at his badge – and indeed he was an officer. Again, I repeated, respectfully, my orders. He mumbled a few words in anger, but thankfully moved back down the flight line. The next day at the office my supervisor approached me. He told me the officer complained to a higher authority. At that moment I truly thought my Air Force tenure was over. The sergeant smiled and said, “The officer was told under no uncertain terms that the airman carried out his orders and that’s the end of the discussion.” The sergeant must have reiterated the story in the building, as enlisted guys smiled at me throughout the day. WHAT PROFESSION DID YOU FOLLOW AFTER THE SERVICE AND WHAT ARE YOU DOING NOW? IF CURRENTLY SERVING, WHAT IS YOUR CURRENT JOB? When I first returned from active duty to my hometown in Florida, I found employment with Trans World Airlines (TWA) at Cape Kennedy, where I worked in a number of specialized tool cribs at the Vehicle Assembly Building (VAB). There I witnessed the stage-by-stage assembly of the vehicle that would eventually take man to the moon. After a year at TWA, I quit a lucrative job and enrolled at a local junior college, working part-time at a grocery store. After later graduating from Florida State University, I began employment in Miami, Florida as a Vocational Rehabilitation Counselor for the State of Florida. I also worked as a VR Counselor at an institution for the developmentally disabled; and as a Supervising Counselor in Marianna and Tallahassee, Florida. In 1975 I accepted a grant position with a non-profit organization, which after four years led to a variety of positions within the organization in Tallahassee and Jacksonville, Florida. In 1985 I became the Executive Director for the same organization in Dallas, Texas. In 1992 I accepted a position as CEO of a state association in North Carolina, retiring in 2002. WHAT MILITARY ASSOCIATIONS ARE YOU A MEMBER OF, IF ANY? WHAT SPECIFIC BENEFITS DO YOU DERIVE FROM YOUR MEMBERSHIPS? I’m a member of the Air Force Association. I enjoy their publication which keeps me abreast of the modern U.S. Air Force. HOW HAS MILITARY SERVICE INFLUENCED THE WAY YOU HAVE APPROACHED YOUR LIFE AND CAREER? Serving four years of active duty in the Air Force gave me time to mature and gain confidence in my abilities. 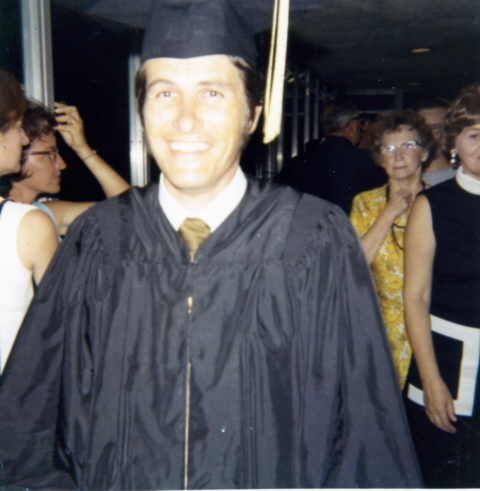 The educational benefits under the GI Bill allowed me to graduate from Florida State University with a BS Degree, which later led to a Master’s Degree in Vocational Rehabilitation Counseling. I’ve been the only individual in my family to graduate from college. Without the Air Force I would have never attended college, nor would I have had the opportunity to enjoy a long career in rehabilitation and non-profit health management. WHAT ADVICE WOULD YOU HAVE FOR THOSE THAT ARE STILL SERVING? In today’s Air Force there are innumerable educational and training opportunities available. As a Air Force recruit in 1962, I wish I’d had the job training opportunities available in the modern Air Force. Take advantage of them. IN WHAT WAYS HAS TOGETHERWESERVED.COM HELPED YOU MAINTAIN A BOND WITH YOUR SERVICE AND THOSE YOU SERVED WITH? I’m proud of my service and have enjoyed the automatic bond that occurs when you meet someone who has also served in the military. Along with my wife, I’ve been honored to adopt or establish Togetherweserved.com profiles on men and women who gave their lives in the service of their country. Researching and managing these profiles is extremely satisfying.